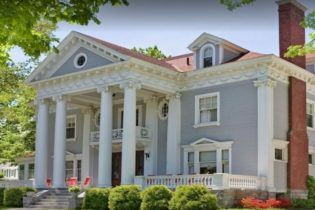 Antiquities Wellington Bed & Breakfast is a historical Traverse City landmark where gracious turn-of-the-century traditions are complimented by modern conveniences. This unique downtown Traverse City neighborhood location is within a short walk to fine restaurants, shops, recreational trails and the spectacular beaches of Grand Traverse Bay. Antiquities’ Wellington Inn Bed & Breakfast is a 1905 neo-classical mansion located in Northern Michigan in the historic heart of Traverse City. Built by one of Traverse City’s lumber barons, this spectacular mansion has been fully restored to its original grandeur, and features period antiques throughout the nine guest rooms, dining room, library and living room. Antiquities’ is a historical Traverse City landmark where gracious turn-of-the-century traditions are complimented by modern conveniences. Nine tastefully decorated guest rooms and spacious suites featuring private baths and furnished with fine antiques, period accessories and gracious touches. Two individually appointed two-bedroom apartment suites in the carriage house. The inn is perfectly suited for the vacationer, for a getaway or for business. Walk to specialty and antique shops, boutiques, fine restaurants, public beaches, museums and parks. Visit Antiquities Bed & Breakfast and enjoy all the comforts of a fine, small hotel. 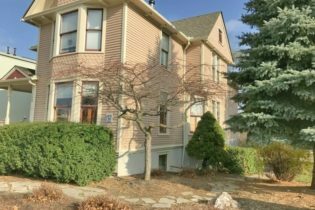 This quaint country B&B, located in Arcadia, Michigan at the gateway to Sleeping Bear Dunes National Lakeshore, offers its guests the ultimate in relaxation and picturesque surroundings. We offer four comfortable guestrooms, all with private baths, an outdoor hot tub, and on-site massage. We also have a Carriage House available for rental - it is approximately 1,000 square feet over 2 stories and fully furnished, with 3 bedrooms and 1 bath. In addition to private baths, two of our guestrooms also have private balconies. Fabulous spa services (massage, manicures & pedicures) are available by appointment at our on-site mini spa. The parlor has a cozy fireplace perfect for reading or conversation. End your night in the outdoor hot tub under the stars and then retire to an enveloping Queen size bed. 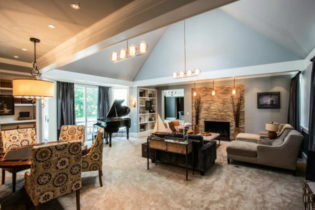 Arcadia (“Peaceful”) is nestled in a lovely valley between high, wooded bluffs offering spectacular views of Lake Michigan. Established in 1880, this port village with its sheltered harbor was for many decades a center for lumbering, furniture manufacturing, and shipping. Today, Arcadia offers visitors peace and beauty, picturesque turn-of-the century homes, tree-lined streets, unspoiled beaches, a modern marina, and friendly people. The beautiful natural surroundings beckon you to explore the woods, Lake Michigan beaches, winding roads, and nearby towns. Walk to Arcadia’s wonderful Lake Michigan Sunset Station and visit other area attractions. Welcome to the Glen Arbor Bed & Breakfast and Cottages. The charm of our historic inn will top your Leelanau experience, with full modern amenities, warm hospitality, delicious homemade breakfasts….and rated #1 in Glen Arbor on Trip Advisor. 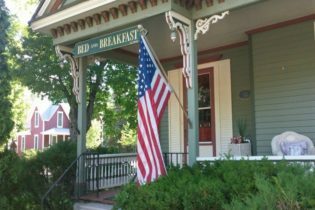 The Glen Arbor Bed & Breakfast and Cottages offers the perfect stay in the heart of the village and the Sleeping Bear Dunes National Lakeshore. Steps, too, from a sugar sand Lake Michigan beach. Explore trails, wineries, unique shops, galleries, back country roads, and lighthouses. After kayaking the Crystal River and hiking the Empire Bluff, dine at taverns, delis or a gourmet restaurant before settling into a unique, beautifully furnished room at the inn. Rich colors and sumptuous appointments, beautiful linens, cozy reading chairs and bedside lamps with charger plugs, air conditioned, high speed WiFI, cable TV, and special homemade breakfasts. Glen Arbor and the Leelanau Peninsula await you. La Belle de La Riviere is French for "The Beauty of the River" is a bed & breakfast inn located in the heart of West Michigan. Come visit us for a restful and relaxing stay! 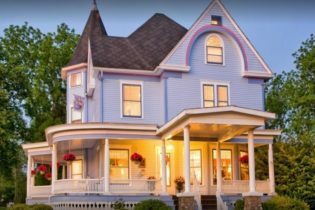 Welcome to La Belle de la Riviere, a great Michigan bed and breakfast inn built in 1868. The B&B resides in the heart of West Michigan in Newaygo, MI near 234 lakes and 356 miles of rivers. Enjoy a taste of Michigan life on the Muskegon River in the middle of one of the best scenic, hunting, fishing and boating areas in America. The object at our bed & breakfast is to slow down, go back somewhere in time, enjoy the lost art of conversation with newfound friends or your partner, or read a good book from our library. Take a leisurely stroll along the beautiful river and historic downtown. Play at nearby golf courses. After a restful night’s sleep and breakfast, you’ll be ready to explore the blessings of this river-valley wonderland. The location is ideal for weddings, anniversaries, or just a simple getaway from the worries of everyday life. We look forward to your visit! The Morris Estate. History and Hospitality. Hospitality is the cornerstone of The Morris Estate nestled in Niles MI. By definition, hospitality is the generous reception of both guests and strangers in a friendly way. Our family firmly values kindness, generosity and hard work. We have been blessed to live on such an endearing property, and we want to share it with you! Join us for a relaxing weekend getaway or the wedding of your dreams. Our staff will welcome you with open arms! Located along the St. Joseph River, The River House offers luxurious accommodations in a picturesque setting. The serene retreat paired with unparalleled service guarantees a memorable stay. This idyllic estate appeases both relaxation and adventure seekers alike. The Chapel has been providing a breathtaking backdrop for weddings since 1938. This historic and hidden gem in Southwest Michigan is a charming setting for ceremonies and receptions. Our experienced coordinators can transform your wedding vision into reality! We help people discover what to do, where to go and what to see in the Ann Arbor-Ypsilanti area and get a good nights rest in a tranquil setting. Chef/innkeeper Chris Mason prepares a Farm to Table breakfast every morning, including special diets. Are you looking to escape to the “Good Old Days”? The Victorian charm of the Parish House Inn, located in Michigan’s second oldest city, Ypsilanti, is just steps away from 19th century buildings filled with 21st century businesses, shops and restaurants. Girl friends can share a room and shop till they drop. Couples snuggle in Chuck’s room with it’s 4 poster bed, then share a cozy table for 2 at a local restaurant. 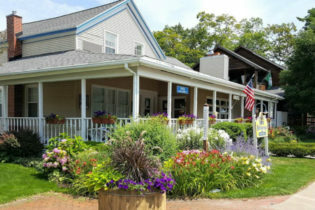 Business travelers like the location bedacuse it offers easy access to area roads and near-by entertainment. History buffs explore the local museums for stories and information. Take a walking tour of the central downtown area and see the beautiful architecture, visit the auto museum and relive the good old days of the automobile, and imagine life as a firefighter at the Fire House Museum. Eastern Michigan University, founded in 1849, was the first teacher’s college in the “West” and today has 25,000 students. Our next door neighbor, Ann Arbor, is home to the University of Michigan and only 20 minutes away. In a 30 minute drive you can be at local wineries, quaint towns and the Henry Ford Museum. We are a family run bed and breakfast and have been here for 23 years and have made many contacts over the years. Together with her daughter Martha and sister Shirley, Chris Mason, Chef and innkeeper enjoys meeting people and helping them get the most out of their stay. The Sleeping Bear Bed and Breakfast is nestled in the rolling hills of the Leelanau Peninsula in Empire, Michigan. We are a restful retreat where guests can rejuvenate and renew. Choose one of our five charming rooms for a peaceful night's slumber and when you awake, enjoy a gourmet breakfast and explore local attractions including the Sleeping Bear Dunes and Interlochen Center for the Arts. The Sleeping Bear Bed and Breakfast is nestled on 4 acres of rolling hills on the Leelanau Peninsula. We are the perfect setting for a vacation in the delightful wonderland of Northern Michigan. Guests enjoy enchanting views from numerous outdoor seating options where they can unwind by reading a book or sipping a glass of wine from one of Leelanau’s outstanding wineries. 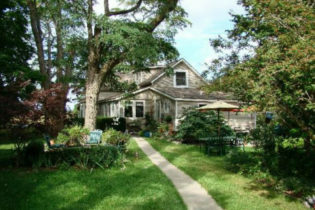 White Swan Bed & Breakfast Inn is just minutes from the sugar sand beaches of Lake Michigan in Whitehall, located half way between Chicago and Mackinac Island. We offer each and every one of our guests gracious hospitality in a relaxing setting. 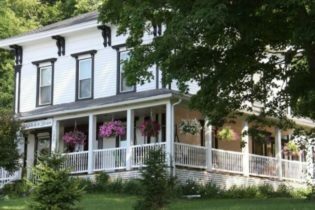 Gracious hospitality awaits you at every turn at the White Swan Inn Bed & Breakfast in Whitehall, Michigan. From a welcoming smile at the door, the thoughtful amenities in each guest room and a delicious breakfast every morning, your visit is designed for pure relaxation. This bed & breakfast inn features a beautiful spacious whirlpool suite, large bedrooms with private baths, and a relaxing wrap-around screened porch with white wicker furniture. Ask about scenic and sunset cruises aboard Third Swan, our 40′ motor yacht. Whitehall, Michigan and the surrounding White Lake area serve as the perfect base to explore all that Michigan’s shoreline has to offer. From the Inn, walk to charming shops, a wonderful assortment of restaurants, take in a play at the summer theater across the street, or stroll along White Lake to visit the World’s Largest Weather vane. Choose from numerous outdoor activities like golf, biking or boating, to theater and museums, shopping, dining, and gorgeous sunsets at Lake Michigan, there is an unending array of things to see, do or experience in the beautiful White Lake area. Relax, Release and Rejuvenate at the White Swan Inn!